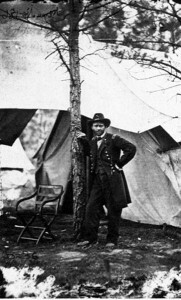 Ulysses S. Grant was a Union general who gained fame and popularity after he led the Union army to victory and served as the 18th President of the United States. Grant was born Hiram Ulysses Grant on April 27, 1822 in Point Pleasant, Ohio. Ulysses’ father, Jesse Grant, was a tanner who sent his son to West Point Academy against his will. Ulysses graduated middle of his class from the military academy in 1843 before being shipped off to fight in the Mexican-American war under General Zachary Taylor. Grant was working in his father’s leather store in Illinois when the Civil War began in 1861. He quickly joined the Union army and was appointed commander of an unruly volunteer regiment. 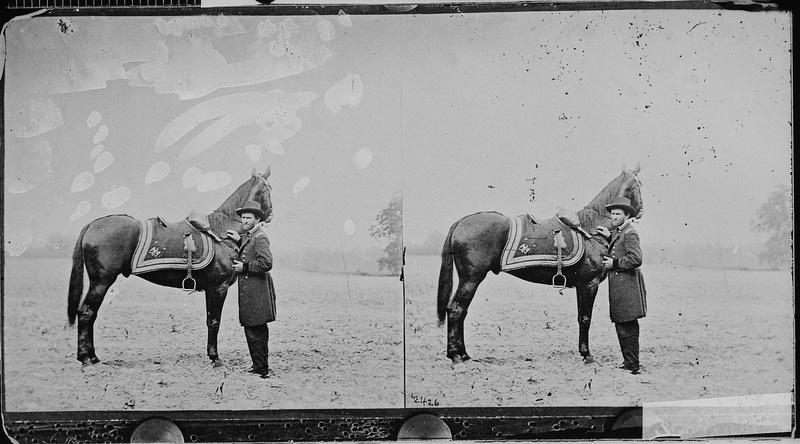 Grant trained the men well and was appointed brigadier general of volunteers. Shortly after, Grant captured the key city of Vicksburg in Mississippi. This was a major victory for the Union because it physically divided the Confederate army in two and allowed Grant to then break the Confederate hold on Chattanooga. Lincoln promoted Grant again to General-in-Chief in March of 1864. Grant then lead his men in a brutal campaign against General Robert E. Lee in northern Virginia that forced Lee to finally surrender after the battle of Appomattox. After surviving many years battle, Grant escaped death once again when he and his wife declined an invitation by Abraham Lincoln to accompany him to a play at Ford’s Theater on April 14, 1865. After Lincoln’s assassination that evening, Grant was the only remaining hero of the Civil War. This heroic status made Grant a natural fit for the presidency. Grant won the Republican nomination for President of the United States in 1868 and served two full terms. 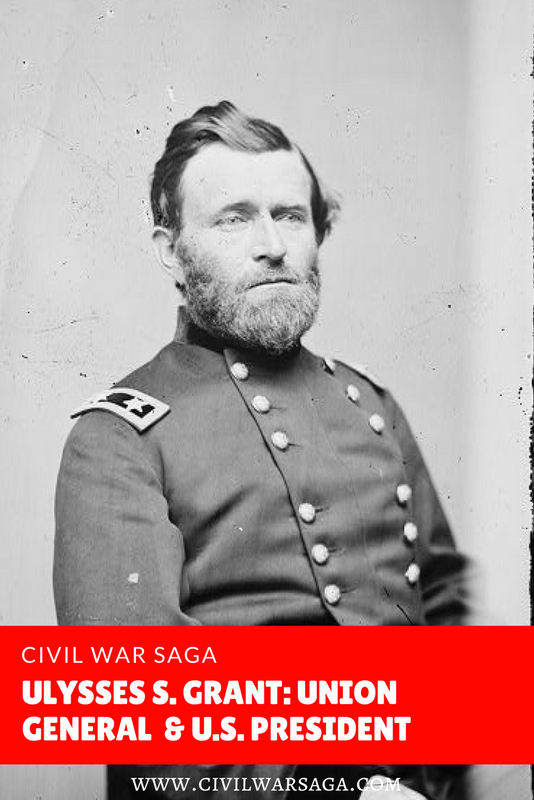 Although Grant was a hero on the battlefield, his presidency was marked by scandal and shame. Although never directly implicated himself, Grant was connected to a number of officials, friends and family members charged with fraud and bribery. A newly coined term “Grantism” quickly became synonymous with corruption and greed. After the stock market in Vienna crashed in 1873 and spread from Europe to the United States, creating the Panic of 1873, a world-wide depression followed, many U.S. companies went under and unemployment rose to 14 percent. Grant was criticized for responding too slowly to the economic downturn and not doing enough to prevent the panic. Grant’s administration did have some successes. He felt very strongly about civil rights and fought for the ratification of the 15th amendment, which banned disenfranchisement based on race and color, and he brought an end to the violent reign of the Ku Klux Clan in the south by supporting legislation that allowed him to use federal force against them. Grant also lobbied to preserve tribal lands for Native Americans and tried to end battles fought against the Native Americans. Grant left office after his second term and embarked on a world tour where he was warmly received by many notable people such as Queen Victoria in Windsor Castle, Pope Leo XIII at the Vatican and Emperor Meiji in Japan. With a depleted saving accounts after his long world-wide tour, Grant ran unsuccessfully for a third term as president. The previous scandals took an unfortunate toll on his reputation and his popularity had faded. Grant made an investment in a banking partnership in 1881 which swindled him out of all of his remaining money and forced him into bankruptcy. Diagnosed with throat cancer in 1884, and destitute after forfeiting his Civil War pension when he became president, Grant began writing to earn money for his family before he died. After writing a number of well-received articles about his Civil War experiences, Mark Twain offered him a contract to write his memoirs. Shortly after, Congress restored his pension. Grant finished his memoirs just a few days before he died. The book sold over 300,00 copies and earned his family $450,000. Grant died on July 23, 1885 at his home in Saratoga, New York. After lying in state, Grant’s body was placed on a funeral train bound for New York City, where he was buried in what is known as Grant’s tomb, a mausoleum in Riverside Park. 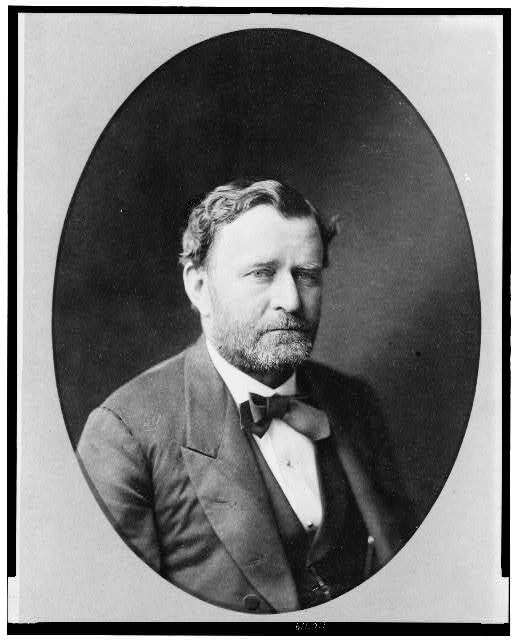 If you want to learn more about Ulysses S. Grant, check out these articles about the best books on Ulysses S. Grant. Grant, Ulysses S. The Personal Memoirs of Ulysses S. Grant. Vol. 1, New York: Charles L. Webster & Company, 1885. Grant, Ulysses S. The Personal Memoirs of Ulysses S. Grant. Vol. 2, New York: Charles L. Webster & Company, 1886. History must be taught, and never forgotten: if for no other reason than it be repeated less often.